GM has recalled 1.4 million cars, including the Chevrolet HHR, over a defect in the ignition switch that can turn the car off unexpectedly when it's on the road. General Motors recalled 1.4 million cars in February, but new details anbd questions about the circumstances that led up to the recall are emerging every day. What cars are involved? 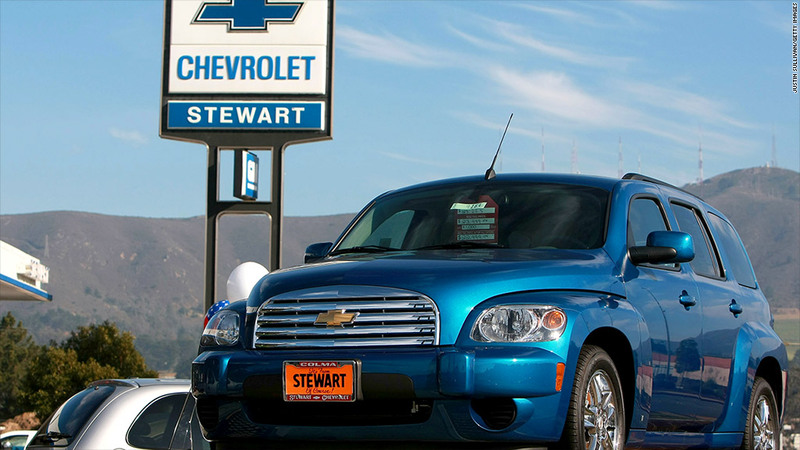 The cars involved in the recall are the Chevrolet Cobalt and HHR, Pontiac G5 and Solstice and the Saturn Ion and Sky. All are from model years 2003 through 2007. Not all of these models were available through all of those model years. How many people have been killed? GM acknowledges that at least 12 deaths are linked to this problem. All we can say, for now, is that the number fatalities is probably somewhere between 12 and 303. However, in 2004, another GM engineer driving a Chevrolet Cobalt, hit the key and accidentally shut the car off. That is apparently the first time GM became aware of the problem that ultimately caused this recall. When can my car be fixed? Not until April. It will take time to manufacture and distribute 1.4 million ignition switches. If you have one of these models, you should have already received a letter alerting you to the recall. Another letter will arrive later telling you to make an appointment to get your car fixed. I'm worried. Should I stop driving my car? For now, GM advises drivers to make sure that there isn't anything hanging from their car key that could knock it out of place. GM dealersare authorized to provide loaner cars to owners who are really scared about this issue. That will be handled on a case-by-case basis.